Pump Parts Plus, Inc. has all of your internally expanded full-flow fittings needs. 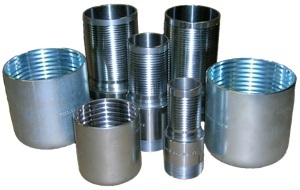 We stock sizes of internally expanded hose stems and ferrules from 1.25" to 3.0". Ferrules have size differences of up to 1/64" increments to fit any size hose! Call us at 1-800-567-7400 for a quote.